Here in North Devon we have plenty of stunning scenery surrounding us however sometimes the weather is not always on our side. 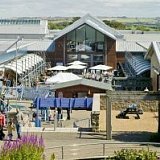 We have compiled a list of 5 things to do in North Devon if you should be greeted with a rainy day and don't want to get wet! An all-weather theme park with Devon’s best roller coaster and other great family attractions. 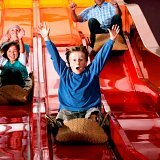 With over 30 stores offering up to 50% off RRP and adjoining Atlantis Adventure Park this is the perfect place for the whole family on a rainy day. Atlantis has an action-packed programme of fun for all the family. 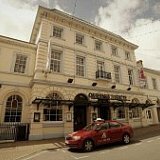 Located in the centre of Barnstaple the Queen's Theatre is a friendly and welcoming 680-seat theatre which offers a lively and diverse programme of events to meet the entertainment, creative and educational requirements of its local and surrounding community. 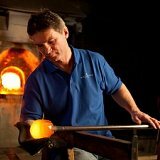 See the world famous range of Dartington Crystal and try your hand at glass blowing. Take a guided tour around the interesting displays and exhibits and learn fun facts about the honeybee before you take a closer look inside the working hives. Nowhere in the world can you get so close to live bees without needing protective equipment! 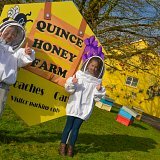 The Happy Bee play hive is a large indoor soft play area, this is where you will also find the café offering homemade food and their special Devonshire cream tea with honey!